Camp Newaygo is the place to get a perfect photo of Santa and his reindeer! All decked out for the season, Camp is a beautiful spot to get into the spirit and kick off your holiday festivities. Meet Santa and his furry companions, make a winter craft, write out your wish list and enjoy a s’more by our toasty fire. 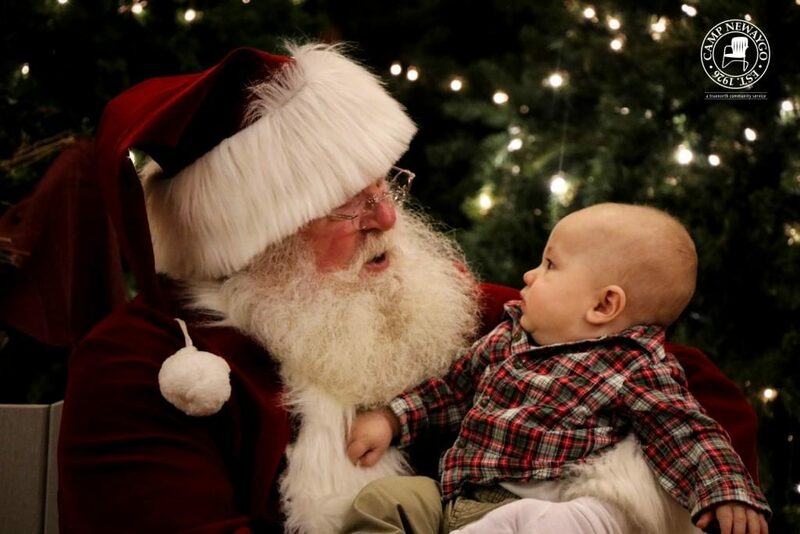 A professional photographer will be on hand to take your photos with Santa and digital copies will be posted in an online album the following week. You are welcome to snap photos yourself as well! Cost is $7 per person or $25 per family of four. No advanced registration is needed – pay on arrival! Call us at (231) 652-1184 with questions or large groups (20+).